So here we are in the last day of November 2016. This has been a very interesting year, many changes. Some call it a “different stage of life” , others call it a “different chapter”. Either way you call it, it is different and takes some time to know how to navigate through it and have it feel normal again. I know as we enter into this part of our lives, things change and move on. I hear my grandmother’s voice in several things nowadays. You know what I mean? Ok, secret all out…I turned 50 this year. Most of my friends, colleagues and people around me are talking about retiring, or some form of retirement. some have even passed away, and soon others will as time goes on. Music/ rock stars we grew up knowing and loving are leaving us, and companies/businesses we took for granted are now closing down for various reasons. As the baby-boomers retire and move on, and the next generation takes over, changes are happening all over the world in ways the world never seen since the world wars, in my opinion. Small businesses being bought up by big American corporations at a perfect time when people are about to retire, and are offered more money they know they will be offered by a local person who wants to keep it going. These American companies are helping business owners retire with a good amount of money in their jeans, which you can’t really blame them for. But in the wake of these transactions, very little is owned locally, and in Canada. all these small businesses that people have built up from nothing into a great business will now be run and operated by a numbered company concerned about the bottom line. The heart and soul of many people’s lives taken out of the equation and do you think the business runs the same now? Well I could go on, but So far this is the longest and most serious post I ever made for this blog. I continue to teach, and I really enjoy it. I work part time as a consultant with Expedia Cruiseshipcenters, so when I reach the point I no longer wish to teach full time, I hope to have built a good client base to keep me going. I started this blog to get the information out there that I do sell land and cruise vacations, as well as vent like this from time to time. What is NEW for me on here? Some have suggested a video. SO.. I’ll give that a shot this weekend with hopes that it will help me gain traction with my blog, and hopefully selling vacations. Worst case scenario, I look silly on the video and I make someone laugh in the day. Well I should get back to work now I guess and get things finished here. Talk to you later, and feel free to comment and keep this alive. Hey, Visit my site and check out these deals. Feel free to keep the comments coming. SOME vacation packages you can even book right from my website, really. We have fantastic news – there’s still time to book an amazing land vacation for this year! 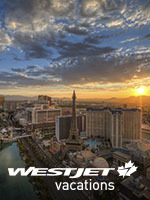 From Mexico and Caribbean, to Honolulu and Las Vegas, WestJet Vacations has amazing savings that will have you wanting to book your 2016 getaway right now! If the exciting nightlife of Vegas is more your style, enjoy a stay at the Stratosphere Hotel and Casino, one of the most talked-about hotels on the Las Vegas Strip! Inexpensive accommodations, casino excitement, and live entertainment are what you’re in for. Expedia® Extras:* Book a minimum 4-night stay at Stratosphere Hotel and Casino by December 26, 2016 and recieve your 4th night free plus a $20 resort credit. 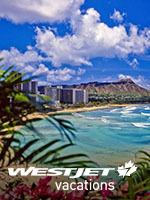 Who doesn’t love Honolulu, especially when you can stay at an urban oasis in the heart of Waikiki? Treat yourself to a relaxing retreat as you enjoy two tropical swimming pools and full service amenities including a spa, coffee shop, restaurant, and complimentary WiFi. Expedia® Extras:* Book a vacation package at Coutyard by Marriott Waikiki Beach in Honolulu by December 16, 2016 and save up to $450/room and recieve free breakfast. some of you have been asking for Land Vacation options for your viewing and travel pleasures. Be sure to check this out and let me know what you think. I’m making an effort to check be here more often, as I get more into things. On going comments are always welcome on here as well. Thanks. This is your chance to take your family to Jamaica! The 5-star all-inclusive resort in Montego Bay, Royalton Blue Waters Resort is ready to welcome you and your loved ones this Fall 2016. Book your stay at this spectacular modern luxury resort and treat yourself to fun for the entire family! From spending time at the extensive pool complex and splash park, to dining at one of 11 restaurants including 7 à la carte options, their wide range of family-friendly amenities and activities makes this a perfect place for your next family getaway. No Comments on Land Vacation Offer! !